By Rina Reyes, MD, Amy Icarangal, PT, and Geralyn Bertellotti, OT. 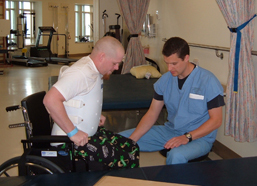 Spasticity in spinal cord injury is often viewed as a cause of dysfunction and pain. But there is more to it than that. This SCI Forum presentation explored the positive effects of spasticity (“the good”), the negative effects (“the bad”), the neutral effects (“the not so ugly”), and a variety of interventions for spasticity. A rehabilitation medicine physician, a physical therapist, and an occupational therapist summarized the causes of spasticity and discussed a variety of conventional and non-conventional treatment options. Watch the video or read the report. Presentation time: 68 minutes. After watching, please complete our two-minute survey! Click here to watch this video on YouTube, with or without closed captions. How common is spasticity in SCI? What areas are affected by spasticity? What treatments are best for you? Spasticity is the name for involuntary muscle movement or tightening that is caused by central nervous system injuries like SCI or TBI. Although we don't know the exact mechanism, we do know that the injury to the spinal cord causes a disruption in the very complex nerve circuits of the brain and spine that control reflex motor activity. When the brain and spinal cord can no longer communicate normally with the rest of the body, the muscles controlled by the injured parts of the spinal cord can become overactive. Resistance to stretch, so the muscle is too tight to be moved into a stretched position. Exaggerated reflexes—a limb will either bend or extend and hold that position for a while. Clonus – rapidly repeating muscle contractions that cause a jumping type movement, commonly in your ankle or your foot when the calf muscle is stretched. How common is spasticity in spinal cord injury? Most people with SCI (65%-78%) have spasticity, and a large percentage of them (28%-43%) report it to be a problem. For some people, spasticity can significantly decrease their quality of life and reduce their ability to be independent. Studies report that close to half (43%-49%) of people with SCI take medications for spasticity, although in my experience it's actually more than half. What areas are affected by spasticity in the body? Spasticity can affect any muscle below the level of the spinal cord injury lesion. It can appear in the arms or legs, bowel or bladder, trunk or neck, or even in the abdomen. Spasticity does not usually appear the minute someone sustains a significant spinal cord injury. Rather, there's a period of what's called “spinal shock” where you lose all reflex activity, and the muscles are very loose or flaccid. During the first year or so after injury, muscle reflex activity often gets stronger. Spasticity often fluctuates during the day and can flare up whenever a new medical problem arises, such as urinary tract infections (UTIs), skin breakdown or fractures. Each person’s experience of spasticity is unique, such that two people with the exact same injury and symptoms may want their spasticity treated very differently. Spasticity can have both desirable and undesirable symptoms. The key to appropriate management of spasticity is understanding its impact on the individual. This makes it possible to determine what needs to be treated and how aggressively, and what does not need to be treated. How can spasticity be good for you? Can be used to help with functional activities, such as transfers or hand grip, which allows you be more independent. Can strengthen muscles and maintain muscle mass. Can serve as an early warning system by alerting you to health problems such as UTIs or skin breakdown. We don’t have strong evidence yet that it can benefit bone health and circulation. Stiffness – resistance to stretch, which can affect many aspects of life and limit independence. Can reduce hand/arm range of motion (ROM) and functional abilities. Can lead to contractures (tightening of muscles around joints) of shoulders and hips that can make it difficult to walk, transfer, dress or perform personal hygiene and care. Can lead to skin breakdown from friction or pressure. Can interfere with safety if spasms are triggered while driving a vehicle or pushing a wheelchair. May cause poor seating posture, especially if it is asymmetric or different from side to side. Can increase the number of bladder accidents. The bladder is a muscle, and if the muscle is overactive the bladder does not store enough urine and becomes very irritable. Indirect effects: if spasticity makes you less independent, it can affect your work ability and care needs. The not so bad—those effects that are not too bothersome and you learn to live around them. Many people have a mixture of good, bad and neutral effects of spasticity. So the principle in treating spasticity is to manage the bad effects, maintain the beneficial effects, and learn to live with the effects that are neither good nor bad. Symptoms - what aspects are problematic? FUNCTIONAL IMPACT: how does it affect your functional ability? You may have spasticity of the whole arm, but maybe it's only the spasticity in the finger flexors (the ones that bend your fingers) that really bothers you. What triggers or changes your spasticity? Is this a recent problem after a long period of no change in spasticity? Is this still the first year after injury so that your spasticity is continuing to change? There is no single test or measure that describes the total picture of a person’s spasticity. Your health provider needs to perform a combination of tests in order to fully understand your spasticity and how it affects you. Subjective assessments involve asking patients about their experience of spasticity. One such measure is the Penn Spasm Frequency Score (Figure 1), which asks about frequency of spasms over time. While this is good at capturing the intermittent spasms that happen throughout the day, it’s not very good at capturing resistance to movement and stiffness or problems with range of motion. 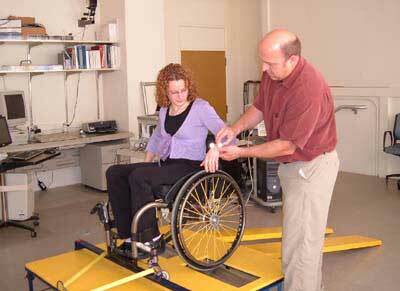 Functional assessment—your health provider will observe the way you transfer and walk. Just like the experience of spasticity itself, response to treatment varies widely from person to person, and most people have to go through a period of trial and error. In most cases treatment involves a combination of approaches: medication and non-medication treatments, multiple medications, or medications and injections. Your provider may need to work with your insurance company to get more than one treatment covered, since some insurers limit or require pre-authorization of certain medications and treatments. This is often our first line medication treatment. It works by relaxing and depressing the neural reflex circuit that causes spasticity. Specifically, Baclofen activates the GABA chemical receptors in your nervous system, which are the chemicals that relax the nervous system. Baclofen affects people differently and doses can vary widely. Some people only need ten milligrams two or three times a day while others need more than twice that amount. Some people find the side effects to be intolerable at the amount of Baclofen they need to control their spasticity. This class of drugs alters the chemical environment in the spasticity neural circuit to enhance the amino acids and proteins that tend to relax the muscles. Clonidine is used primarily to control high blood pressure, but the mechanism of action also tends to help spasticity. Clonidine was used for a long time because the second drug in this category, Tizanidine, was not available until more recently. Clonidine is technically not FDA-approved for spasticity and is used quite rarely now. It comes in both oral and patch form. The patch is a little bit longer acting than the oral formula. And while it is effective, it can drop the blood pressure and heart rate. If you suddenly stop the drug, you will have rebound high blood pressure, so it needs to be withdrawn very carefully. Tizanidine is a new drug in the same category as Clonidine, but it has a more specific effect for spasticity and carries a lower risk for developing low blood pressure. It can cause drowsiness in 41-46% of individuals, so it needs to be adjusted very carefully and gradually. There is a small risk for liver dysfunction and blood count abnormalities, so regular blood monitoring is needed while on the drug. It can also interact with ciprofloxacin, an antibiotic commonly used to treat urinary tract infections. This drug acts directly and only on the muscle and decreases the strength of muscle contractions. For many decades this was the mainstay of spasticity treatment, along with Diazepam. It can be mildly sedating, and the primarily concern is the risk for liver toxicity, so you should be on the lowest effective dose and follow the liver testing schedule. While it’s not often used as a first-line medication for spasticity, it might be a good adjunct treatment to the other medications. Multiple dosing forms: oral, IV, etc. There are multiple uses for this medication, including treating seizure disorders, anxiety or sleep problems. It has a similar mechanism of action to Baclofen but acts on a slightly different receptor. It seems to be as effective as baclofen but causes greater sleepiness, confusion and fatigue. There is a risk for developing tolerance to this medication, meaning over time you need more and more to be effective. You can also become physically dependent on it. For these reasons, it is not a first line treatment and we use the minimal dose possible. It is best used only at night for people whose spasticity keeps them from sleeping, and for emergency, in-hospital use. Many people with SCI use marijuana to help manage their spasticity. 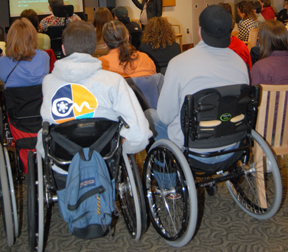 To learn about how it works, what the risks and benefits are, and the legal concerns, refer to the 2014 presentation on Medical Marijuana and Spinal Cord Injury by Dr. Greg Carter at http://sci.washington.edu/marijuana. Blocks and injections are a way to treat local, meaning not widespread, spasticity without causing the system-wide side effects like sleepiness or confusion that come with oral drugs. It can also be used to enhance therapeutic benefit of bracing, splinting or even electrical stimulation. Longer-acting blocks last from 2 – 5 months. Phenol is a drug that chemically destroys the peripheral nerve involved in the reflex loop causing spasticity. Nerves in the peripheral nervous system outside the spinal cord are able to regrow themselves, so the effect of phenol is temporary. It is used in nerves that have very little sensory component in order to avoid the possibility of causing pain. Injecting phenol requires electrical stimulation, time, and precision to find the exact injection site in the muscle. Botulinum toxin is a protein made by a specific kind of bacteria. It is used medically by injecting it into the spastic or overactive muscle to cause temporary paralysis or weakening of that muscle. Because it can be used on any muscle that is accessible by needle it is easier and faster to administer than phenol. It is more expensive, however, and therefore harder to get covered by insurance companies. Injections need to be repeated about every three months and dosing needs to be prescribed with care because over time it can become less effective. The Bottom Line: Botulinum toxin treatment is only as good as the proper identification and localization of the target muscle. Use to treat focal spasticity problems, possibly in combination with other medications and interventions. The intrathecal baclofen pump is a surgically implanted system used to control spasticity by infusing baclofen directly into the spinal canal and around the spinal cord. This method was created to solve the problems and side effects of taking oral spasticity medications. This system delivers baclofen directly to where it is needed—into the intrathecal space inside the spinal canal that contains the fluid that bathes the spinal cord. Therefore, people need far less Baclofen than the oral dose, and it can be precisely controlled with fewer side effects of sedation. The system consists of a teardrop-shaped hockey puck-sized canister surgically implanted under skin in the lower abdomen and attached to a catheter that winds around the body under the skin and into the spinal canal. It is only appropriate for those people who are accepting of the surgical risks and the maintenance requirements for a pump. This method is described in an SCI Forum presentation available at http://sci.washington.edu/info/forums/reports/intrathecal_baclofen.asp. Ablative surgeries that cut nerves in order to interrupt the nerve circuit causing spasticity (selective dorsal rhizotomy, myelotomy, neurectomy) are irreversible and primarily considered only when less invasive methods are not successful. What are your goals for treating your spasticity? How important is it that the treatment can be reversed or stopped? What are the possible short-term and long-term side-effects of each treatment? Do you have other health conditions that would influence the treatment choice? When I’m working with patients on their spasticity, what I want to know from a physical therapy point of view is how their spasticity affects their functioning, breathing, walking, posture and ability to be independent? My goal as a therapist is to help patients function better. There are several non-medication approaches a PT can help with. Why it works: Stretching causes a temporary reduction in muscle tone and increases flexibility and range of motion. The effects of stretching can last several hours. How long and how often: Generally you should hold a stretch for 30 seconds to a minute for one to five repetitions, but this varies a lot and depends on the nature and severity of your spasticity. Passive stretching (the muscles aren't contracting) with help from another person or by yourself. For examples, see Independent SCI Shoulder Stretching Exercises and Lower Extremity Passive Range-of-Motion. Active assisted stretching (muscles are actively moving to put you in a stretch position and pressure is placed to move the muscle to a more stretched position). For examples, see Assisted Shoulder Stretching Exercises. Stretching your chest muscles by lying on your back with a towel behind your back and your arms spread out to the sides and resting on the surface. Lying on your stomach for 30 minutes or more. You can increase this stretch by pushing up with your hands while hips and legs remain on the surface. If you tend to flex (bend) when you spasm, you should stretch the front muscles, including biceps, pectorals (chest), abdominals, wrist flexors (inside of lower arms), hands, hip flexors and hamstrings. If you tend to go into extension (straighten out), then you need to stretch your shoulder blades, lower back, hands, quadriceps, and calf muscles. It’s also important to stretch in diagonal and lateral (side-to-side) patterns. How long to hold a stretch is dependent on when you feel (less spasms) or see that muscle release (less tension in the muscle belly or less “jumping” of the leg). Exercising the opposing muscle will inhibit the spastic muscle. For example, if your biceps tend to spasm, you can exercise the opposite (triceps) muscle. Exercising the spastic muscle may decrease its excitability. Some people assume they are strong in their muscles that spasm. However, while you may have strong muscle contractions during a spasm, you may not be able to contract that muscle when your spasms have subsided. For example, you may get strong abdominal contractions/spasms when you first lie down after being in your wheelchair all day. Once your spasms subside, you would not be able to contract your abdominals. You should do 60 to 80 percent of the maximum you can lift in 1 repetition. Check your maximum lift in 1 repetition every two weeks, since your maximum will change and you’ll need to increase resistance in order to be at 60-80%. You should work up to three sets of 12 reps maximum, perhaps starting at 1 set of 12 reps. If you are able to easily complete 3 sets of 12 reps, then it’s time to recheck your maximum lift in 1 repetition. I also recommend that you work out of the patterns that cause your spasms. For example, if your hips and knees tend to flex when you spasm, work on exercises that make your hips and knees extend. For you to be strong, you need to be strong throughout the entire muscle length or range of motion and have a balance of flexor and extensor muscles. This allows you build long, lean, and strong muscles. Provides a prolonged stretch to the muscles that become tight, e.g., calf, hip flexors and abdominal muscles. Decreases the excitability of the spastic muscles. The effects of weight-bearing and standing can last until the next day. The benefits are greater than just stretching alone. How long to stand and how often—some studies suggest 30 to 60 minutes, five days a week. Vibration frequency varies (20-100 Hz). At this time, it is unclear how much (frequency) whole body vibration and how long (duration) may be therapeutic. There are also concerns about the risk for fracture. Geralyn Bertellotti, OT, Harborview Medical Center. Splinting is a treatment option if you have spasticity in any of your extremities, such as your arm, leg, hand, or ankle. Prevents contracture, which is tightening of the muscles, ligaments, tendons, bony structures, of the joint. Static splinting uses a splint that doesn't change. Static splints are usually easy to get on and off. The splint should stay on at least two hours, preferably overnight if tolerable. Splinting provides a low amplitude, longer duration stretch. With any kind of splint you need to check your skin regularly to make sure you don't have any pressure points or irritation anywhere. Dynamic splinting is a splint that moves. It provides a low-load, prolonged-duration stretch at the end range of that motion to a group of muscles. It allows stretch to occur while the muscle is relaxed as well as positional change during spasm. Duration for dynamic splinting usually starts with a 15-minute wearing time to make sure that there are no skin, joint or pain problems, gradually building up to more than two hours. If a dynamic splint is left on too long, it could create some pain. The tension can be increased a little more every three to five days. Causes slowing of nerve conduction. Decrease central nervous system excitability. Cold can be applied from 20 minutes up to 1 hour. Icing too long can result in damage to the skin. The beneficial effects of icing only last about an hour. Heat works because it increases blood flow, delivering more oxygen and nutrients to the muscle. Applications can last about 20 minutes. Make sure your skin is protected so you don’t burn yourself. This is an electrical current to the muscle that activates the nerves and creates a contraction of specific muscles. Electrical stimulation is applied to the muscle opposing the spastic muscle to decrease the excitatory impulse that muscle. For example, biceps and triceps are opposing muscles. Electrical stimulation may help with spasticity by allowing opposing muscle groups to contract /relax or by stimulating a spastic muscle to help reorganize and normalize neuron activity or excitability. One example of this type of treatment is Transcutaneous Electrical Nerve Stimulation (TENS).